This is a second edition of Get Through MRCPsych Part 2: Long Case Presentations - 978-1-85315-689-7. Introduced as part of the Modernising Medical Careers initiative, workplace based assessments (WPBAs) are a key part of psychiatry training, tracking trainees competence in essential skills, and counting towards the requirements for entry to the various parts of the MRCPsych examination. 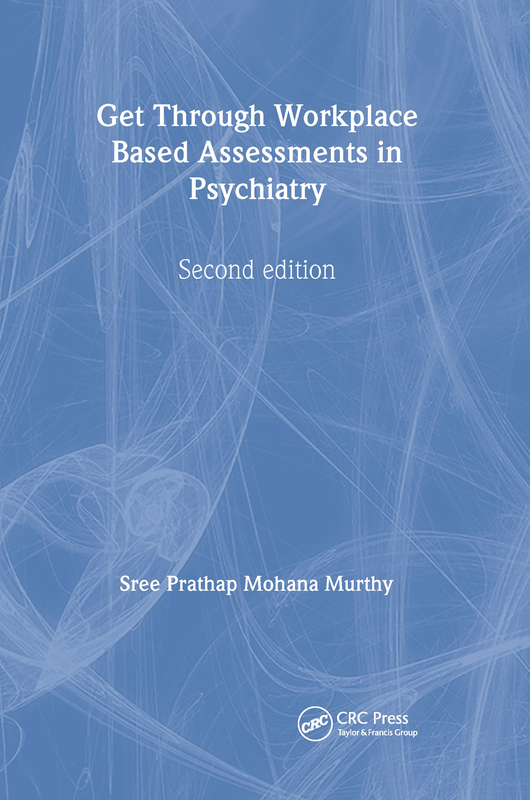 Get Through Workplace Based Assessments in Psychiatry, second edition is an essential tool for all psychiatry trainees as they plan and undertake these vital in-training assessments. It aims to provide the reader with the clinical knowledge and practical techniques required to carry out ACEs, mini-ACEs, CbDs, DOPS and Case Presentations with confidence and success. This book will be an important addition to the bookshelf of every psychiatry trainee, throughout their Specialty Training years.